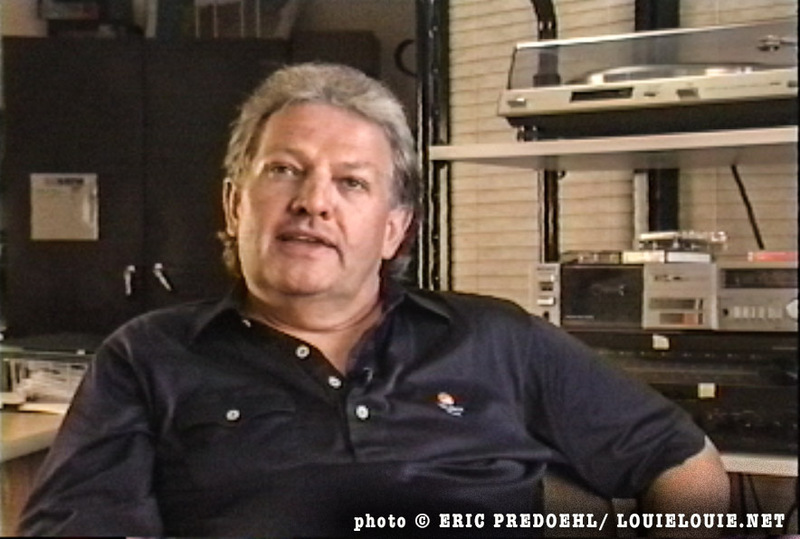 I recently discovered that Jerry Dennon, the man responsible for unleashing the Kingsmen‘s recording of LOUIE LOUIE to the world, passed away last year on January 2017. Often credited as the producer of this iconic recording, Jerry Dennon had nothing to do with the original recording session that took place in April 1963 at the Northwestern Inc. recording studio in Portland, Oregon. KISN DJ + nightclub owner of The Chase, “Ken Chase” aka Milton “Mike” Korgan was the actual producer of this session, working with studio owner / recording engineer Robert Lindahl to create this very special recording that neither the band or Mr. Lindahl thought was a particularly good recording. Ken Chase was the visionary producer who thought this recording with the false starts and less-than-coherent vocals captured a wonderful rock music performance, and sought out a record label that could release this recording. Jerry Dennon was the Seattle-based record company executive that took a chance on releasing this odd-sounding record by this teenage band from Portland, Oregon, initially putting it out on his Jerden record label. As fate would have it, this recording found an unlikely audience in Boston, Massachusetts, where WMEX DJ Arnie Ginsburg added this song to his “Worst Record of the Week” radio show. With consumer demand growing for the record beyond Boston, Jerry Dennon made a decision to cut a deal with Scepter Records to sign the Kingsmen to the larger record label, providing better distribution for the band, and more seed money for Jerry Dennon to expand his Jerden Records empire, as Jerry aligned himself to be the producer for all future Kingsmen records. 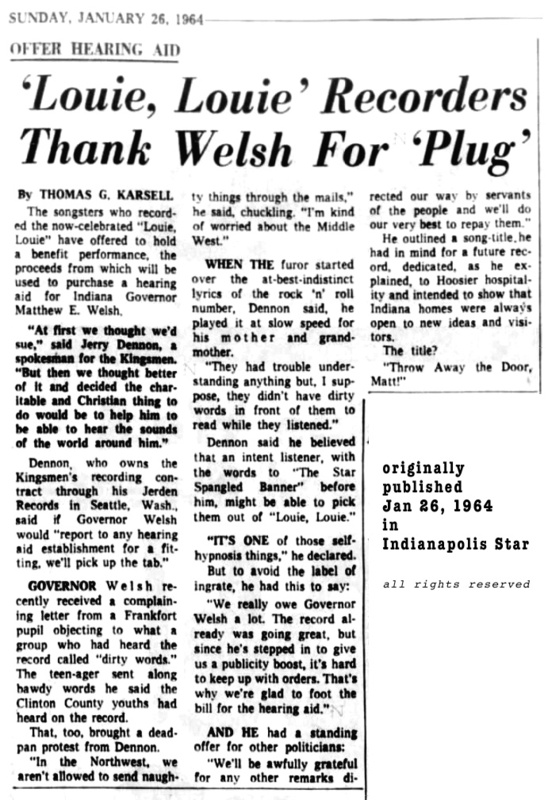 When Governor Matthew Welsh of Indiana took offense over this record, and sought to get it removed from Indiana radio airplay, Jerry Dennon responded by offering to create a benefit concert to raise money to buy a hearing aid for the Governor!